Sydney’s nightlife canvas is wide and varying. Oxford Street, the heart of Sydney's gay area, buzzes with cafes, bars and clubs (gay, straight and mixed) while the established red-light district spills out from Kings Cross. The Rocks and King Street Wharf are more upmarket; drinks at the harbourside terraces are expensive but worth it for the views. A large number of small Melbourne-like bars have sprung up across the city. 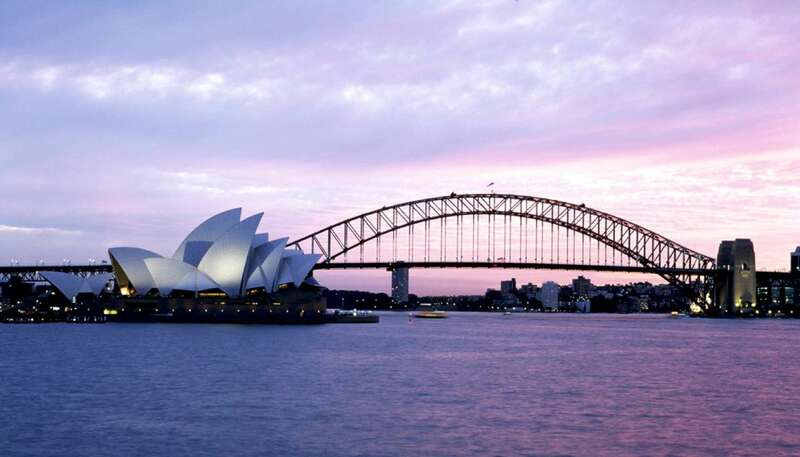 As with its bars and clubs, the city’s cultural life is equally diverse, from high classical at the Sydney Opera House to cutting-edge contemporary and experimental performance art. Nightlife and cultural listings appear in Metro, the Friday edition entertainment section of the Sydney Morning Herald and in Time Out. Tickets are available for purchase from Ticketek (tel: +61 2 9266 4800; www.ticketek.com) and Ticketmaster (tel: 136 100, in Australia only; www.ticketmaster.com.au). This café offers one of the most spectacular views in Sydney. Atop the historic Customs House with views of Circular Quay, the Sydney Harbour Bridge, and Sydney Opera House, it's hard to ignore. Enjoy a pre-dinner cocktail or glass of wine from the extensive wine list. And although you may start with a beverage in mind, if the view draws you in, you can also enjoy a fine dining experience. Bookings recommended. Telephone: +61 2 9251 8683. This sensationally Melbourne-esque "laneway bar" is typical of the 'small bar' trend in Sydney and one not to be missed. At first it may seem like you're being led down a dark laneway to be mugged, but fear not—this gem is a delightful surprise. Enjoy a cocktail from their quirky list or a sensational vino from their wine list; it's a perfect spot for a pre-dinner beverage. Telephone: +61 2 9947 9025. 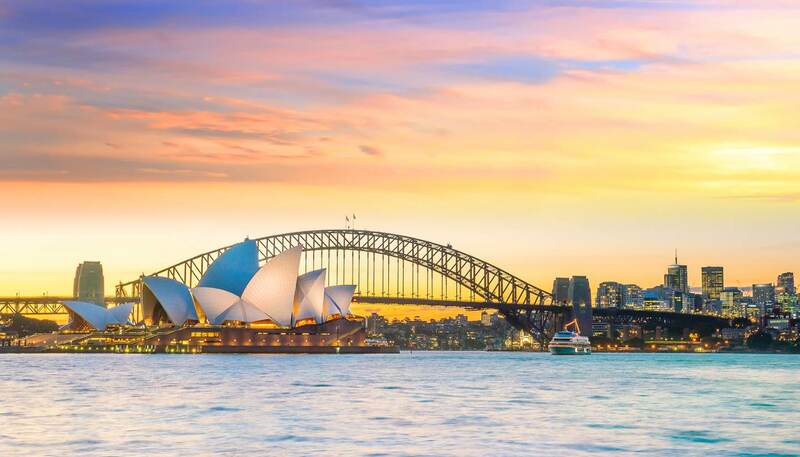 Unrivalled in terms of location, with uninterrupted water views of Sydney Harbour Bridge and in the shade of the Sydney Opera House, Opera Bar is a spectacular place for a sunset beverage and a casual bite with friends. Telephone: +61 2 9247 1666. Boasting one of the city's best sound systems and lighting rigs, this spacious, two-level club is by far the best decked-out club in the GLBT scene. Expect a mix of house, dance and trance – along with commercial music downstairs – and a bevy of pretty shirtless boys and carefree, straight women enjoying a hassle-free night out. No cheese, no shirts and no attitude. Telephone: +61 2 9380 8700. Tucked underneath the Slip Inn, Chinese Laundry is one of Sydney's largest and oldest clubs. The venue's three floors cater to a variety of music genres—from electro to RnB; house to hip-hop. And if the low ceilings, packed crowds, and pounding bass inside become too much, head outside to the courtyard garden bar and outdoor dance floor. Telephone: +61 2 9254 8088. Telephone: +61 2 9266 0600. The Annandale Hotel is one of the best centrally located venues for up-and-coming bands. Since opening its doors in the 1930s, this Aussie pub has played host to a plethora of bands spanning genres. Numerous artists have graced its stage including The Cat Empire, The Dandy Warhols, Sarah Blasko and Newton Faulkner. This is a true Sydney rock 'n' roll institution. Telephone: +61 2 9550 1078. Originally built for the Sydney 2000 Olympics, Qudos Bank Arena has established itself as one of the most well-known live music venues around. Here bookings from luminaries such as Beyoncé, Madonna, Stevie Wonder, Taylor Swift and Lady Gaga are common week-to-week. With these international pop stars come the legions of fans happy to pay top dollar for a night of high-energy arena spectacular. Telephone: +61 2 8765 4321. One of the country's foremost clubs for live jazz, acoustic, folk, funk, blues, world and soul, this place has an adventurous regular line-up of local and international musicians. In this intimate venue, you'll never be far from the action, but choose how close with cabaret-style tables (for a pre-show supper or snack perhaps?) near the stage or an elevated bar at the back. Acts appear every night, so it's best to book ahead. Telephone: +61 2 9251 2797.